Book Gatsby party magicians "Norvil & Josephine"! Inspired by the Hollywood film, ‘Great Gatsby’ themed parties are all the rage. So you clearly need some perfect entertainment to fit the theme. The unforgettable magician double-act Norvil & Josephine present their show in the style of Gatsby party entertainment throughout the UK and internationally. You can present the show on a dance floor or on a stage if you have one. Visit Gatsby party for full information on this act. 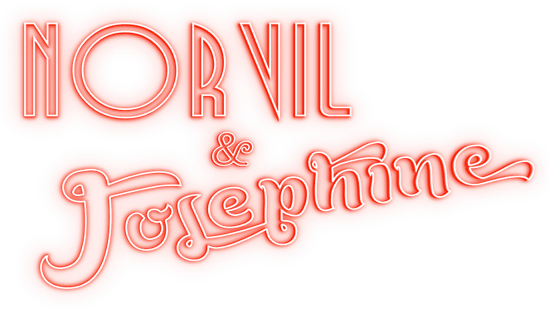 Norvil & Josephine is an award winning fun-filled act has received critical acclaim and is perfect if you're looking for a magician show to dazzle at your event to play to audiences large and small. WHY MAGIC FOR YOUR GATSBY PARTY? Good magic is unforgettable and appeals to a wide range of audiences. This act is unique because, apart from incredible magic that fits perfectly for Gatsby themed parties, they also add a touch of something special to the act with entertaining demonstrations of acrobatics and singing. The act is inspired by the days of music halls revue shows and Vaudeville - so popular in the 1920's. There’s no other live magician act like it for hire in the UK. They’ve got a huge repertoire so let them know about your venue and performance situation and they can build a bespoke show for you with a routine that will shine in your venue while working around your available space. Check out Gatsby party for further information on how Norvil & Josephine could appear at your event to present a special Gatsby themed magician show that your guests will be talking about for years to come.